2. 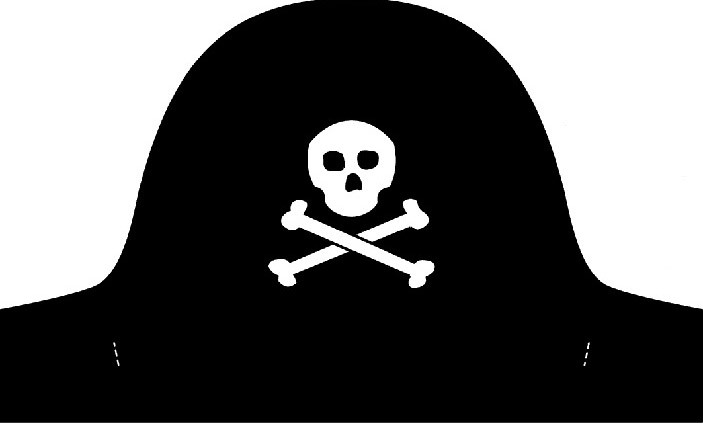 On another colour and piece of foam draw the symbol of the pirates, the skull and the crossbones. 3. Cut the shape of the hat out and your symbols. 7. Make a hole on each side of the hat, not so close to the end. 8. You can put some elastic through the holes so that it can fit on your head.